The best case for hunting as conservation…laid out by a vegetarian?! This article written by Dr. Chris Brown of the Namibian Chamber of Environment is the best case yet for hunting as conservation. It explains how fair, ethical and conservative hunting has transformed local communities and seen growth in natural wildlife. Most surprising? He doesn’t hunt and he’s a vegetarian! I am not a hunter. Nor have I ever been. I am a vegetarian (since the age of about 11), I am part of the environmental NGO sector and I have interests in the tourism industry in Namibia. So, it might surprise you that I am a strong supporter of the hunting industry in Namibia, and indeed, throughout Africa. Having said that, I should qualify my support. I am a strong supporter of legal, ethical hunting of indigenous wildlife within sustainably managed populations, in large open landscapes. The reason is simple: Well-managed hunting is extremely good for conservation. In many areas, it is essential for conservation. 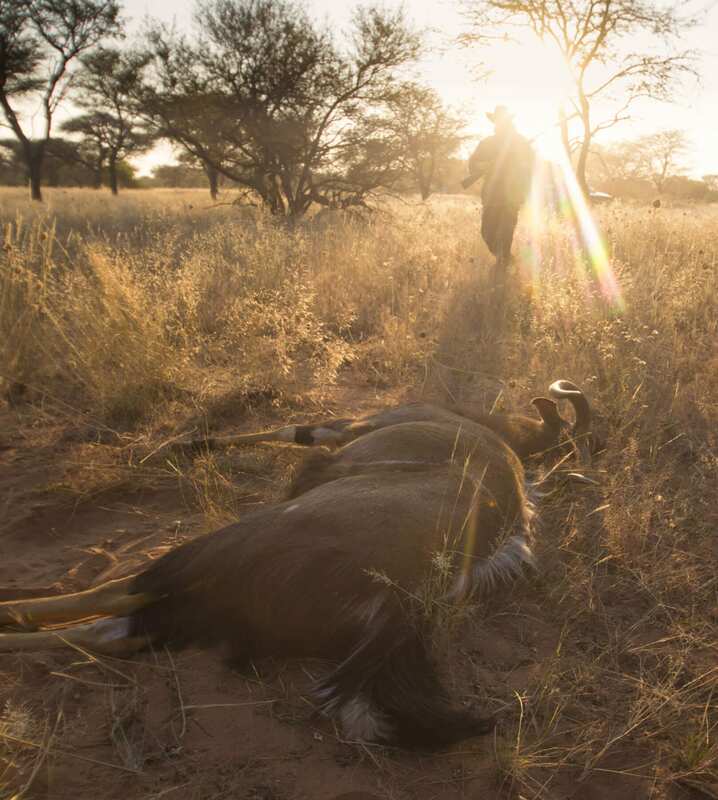 There is much confusion and misconception, particularly in the urban industrialised world and thus by most western tourists that visit Namibia, about the role of hunting in conservation. Urban industrialised societies – and I include many biologists and recognised conservation organisations in this grouping – see hunting as undermining conservation, or the anathema of conservation. And they see protecting wildlife and removing all incentives for its consumptive use as promoting and achieving good conservation. Nothing could be further from the truth. Much of the hunting and sustainable utilisation debate within conservation has been taken over by the animal rights movement. I have sympathy for people who stand up for animal rights – I think we all should. None of us want to see animals suffering or being treated badly by members of our species. But the problem arises when animal rights agendas are passed off as conservation agendas. Animal rights agendas are not conservation agendas. Conservation works at the population, species and ecosystem levels. Animal rights works at the individual level. And what might be good for an individual or a collection of individuals might not be good for the long-term survival of populations, species and biodiversity. Take a simple domestic example. When the farm carthorse was replaced by the tractor, carthorses no longer had to work long hours in the fields. But they also no longer had a value to farmers. Once common, they are now extremely rare. Indeed, carthorse associations have been established to keep these breeds from dying out. The truth is, if animals do not have a value, or if that value is not competitive with other options, then those animals will not have a place, except in a few small isolated islands of protection. And island protection in a sea of other land uses is a disaster for long-term conservation. Animal rights are important. But for wildlife they must be placed within a sound conservation and animal welfare setting, where conservation decisions on behalf of populations, species and ecosystems take priority over the rights of individual animals, but with due consideration of their welfare. Ethical and humane practices are an integral part of good conservation management and science. The wildlife situation in Namibia provides a very good example of this. When the first western explorers, hunters and traders entered what is now Namibia in the late 1700s, crossing the Orange/Gariep River from the Cape, the national wildlife population was probably in the order of 8-10 million animals. Over the following centuries wildlife was decimated and numbers collapsed, first by uncontrolled and wasteful hunting by traders and explorers, then by local people who had acquired guns and horses from the traders, then by early farmers, veterinary policies and fencing, and finally by modern-day farmers on both freehold and communal land who saw wildlife as having little value and competing with their domestic stock for scarce grazing. Traditional wildlife management under customary laws administered by chiefs had broken down under successive colonial regimes. 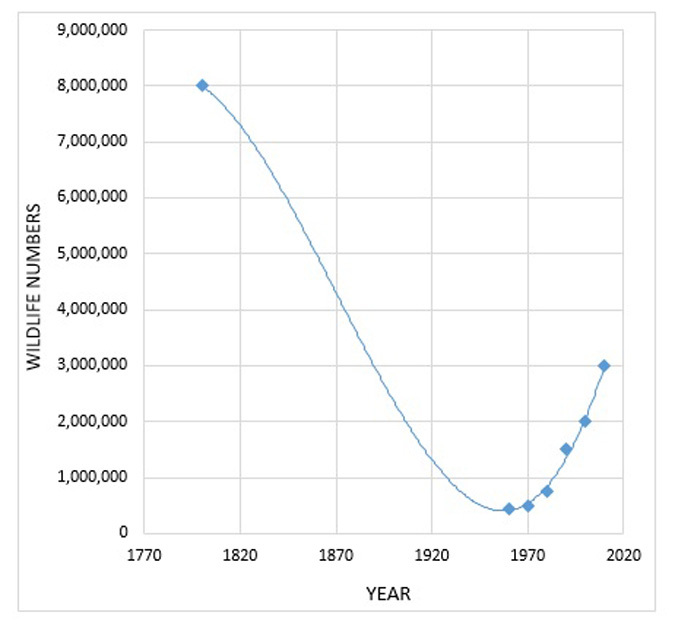 By the 1960s wildlife numbers were at an all-time low in Namibia, with perhaps fewer than half a million animals surviving (Figure 1). At that time wildlife was “owned” by the state. Land owners and custodians were expected to support the wildlife on their land, but they had no rights to use the wildlife and to derive any benefits from wildlife. In response to declining numbers and growing dissatisfaction from farmers, a new approach to wildlife management was introduced. In the 1960s and 1990s, conditional rights over the consumptive and non-consumptive use of wildlife were devolved to freehold and communal farmers respectively, the latter under Namibia’s well known conservancy programme. The laws give the same rights to farmers in both land tenure systems. This policy change led to a total change in attitude towards wildlife by land owners and custodians. Wildlife suddenly had value. It could be used to support a multi-faceted business model, including trophy hunting, meat production, live sale of surplus animals and tourism. It could be part of a conventional livestock farming operation, or be a dedicated business on its own. As the sector developed, so farmers discovered that they could do better from their wildlife than from domestic stock. Both small – and large – stock numbers declined on freehold farmland while wildlife numbers increased. Today there is more wildlife in Namibia than at any time in the past 150 years, with latest estimates putting the national wildlife herd at just over 3 million animals. And the reason is simple – wildlife is an economically more attractive, competitive form of land use than conventional farming in our arid, semi-arid and dry sub-humid landscapes. Markets are driving more and more farmers towards the management of wildlife. This is good for conservation, not just from the perspective of wildlife, but also from the broader perspective of collateral habitat protection and biodiversity conservation. The greater the benefits that land owners and custodians derive from wildlife, the more secure it is as a land-use form and the more land there is under conservation management. Therefore, all the component uses of wildlife, including and especially trophy hunting, must be available to wildlife businesses. These uses include the full range of tourism options, live sale of surplus wildlife, and the various forms of consumptive use – trophy and venison hunting and wildlife harvesting for meat sale, value addition and own use. It is this combination of uses that makes wildlife outcompete conventional farming. And it is the “service” component of tourism and hunting that elevate wildlife values above that of primary production and the simple financial value of protein. As the impacts of climate change become ever more severe, so will primary production decline in value, but not so for the “service” values derived from arid-adapted wildlife. And why especially trophy hunting? Because there are large areas of Namibia comprising remote, flat terrain with monotonous vegetation that are unsuited to tourism, but very important for conservation. There are some people in the tourism sector in Namibia and in our neighbouring countries who oppose trophy hunting because it is perceived to conflict with tourism and is thus not good for conservation. Some suggest that the land and its wildlife should be used for eco-tourism and not hunting. In most areas, eco-tourism cannot substitute for hunting. The loss of hunting revenue cannot be made up by eco-tourism revenue. Indeed, we need to optimise all streams of wildlife-derived revenue to make land under wildlife as competitive as possible.If Namibia had adopted an animal-rights based, protectionist, anti-sustainable use approach to wildlife management, we would probably today have fewer than 250,000 head of wildlife (just 8% of our present wildlife herd) in a few isolated large parks and a few small private nature reserves. We would have lost the connectivity between land under wildlife, and we would have lost the collateral conservation benefits to broader biodiversity, natural habitats and ecosystem services. 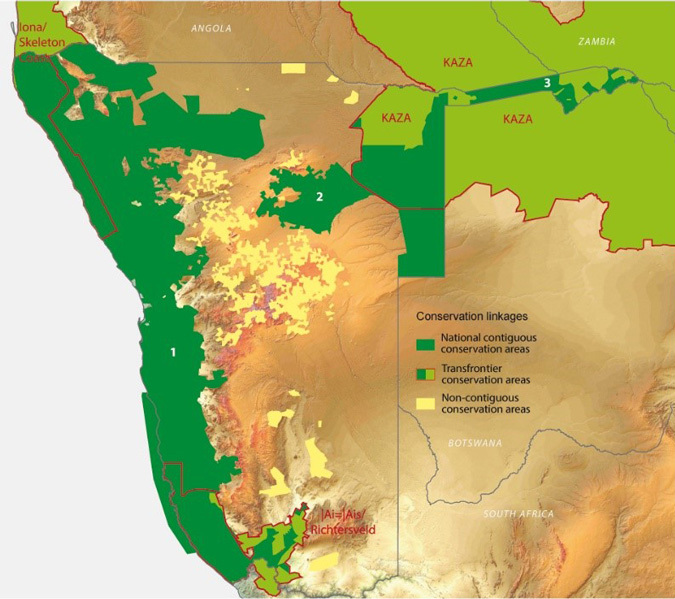 Today, Namibia has well over 50% of its land under some form of formally recognised wildlife management (but probably over 70% if informal wildlife management is considered), including one of the largest contiguous areas of land under conservation in the world – its entire coast, linking to Etosha National Park and to conservation areas in both South Africa (Richtersveld) and Angola (Iona National Park) – over 25 million ha (Figure 2). 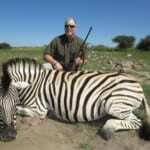 Some tourism operators and tour guides attack the hunting sector to their guests. These tourism operators and guides are undermining an important part of conservation, an important contributor to making land under wildlife competitive and, in the final analysis, they are undermining the viability of conservation as a land-use form. The greatest threat to wildlife conservation, in Namibia and globally, is land transformation. Once land is transformed, often for agricultural purposes, it has lost its natural habitats, it has lost most of its biodiversity and it can no longer support wildlife. Hunters and tourism operators should and must be on the same side – to make land under wildlife more productive than under other forms of land use. They are natural allies. They need to work together to ensure that land under wildlife derives the greatest possible returns, through a multitude of income earning activities. And where it is necessary for both hunting and tourism to take place on the same piece of land, they need to plan, collaborate and communicate so that all aspects of wildlife management and utilisation – both consumptive and non-consumptive – can take place without one impacting negatively on the other. Conflicts between hunting and tourism are simply failures of management and communication, nothing more profound than that. But the onus should be on the hunting outfitters to ensure that there are ongoing, good communications. The onus is also on hunting outfitters, professional hunters, and the hunting sector to always maintain the highest ethical and professional standards, and to be mindful of the sensitivities of many people to the issue of hunting. It is also the vital task and duty of tourism operators and guides to educate visitors from the urban industrialised countries about conservation in this part of the world. Visitors need to understand what drives conservation, the role of incentives, markets and what is meant by sustainable wildlife management. The tourism sector should not skirt around an uncomfortable discussion on hunting, but face it head-on and explain its importance to conservation. This is what good education is all about. Tourists come to Namibia to be enlightened, to be exposed to new ideas and to better understand the issues in this part of the world. They come here to take back new and interesting stories. 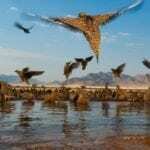 What better story than Namibia’s conservation successes. But visitors need to understand it properly – its incentives, its market alignment, its strong links to the local and national economy, and its role in addressing rural poverty. It is the task of the tourism industry to help visitors understand why Namibia has one of the most successful conservation track records of any country in the world. If we look for a moment at the conservation trajectory of a country such as the United Kingdom (an urban industrialised example) through its agrarian and industrial development, the indigenous wildlife at that time had no value. Thus, it lost the elk, wild boar, bear, wolf, lynx, beaver and sea eagle – essentially its most charismatic and important species. While small-scale attempts to re-introduce a few of the less threatening species are underway, it is unlikely that it will ever reintroduce the bear and wolf into the wild as free-ranging populations. And yet that country and others like it, with poor historic conservation track records, are keen to influence how Namibia should manage its wildlife. Its own farmers are not prepared to live with wolves, but many of their politicians and conservation agencies, both public and non-governmental, expect Namibian farmers to live with elephant, hippo, buffalo, lion, leopard, hyaena, crocodile and many other wildlife species that are far more problematic from a human-wildlife conflict perspective than a wolf. And they try to remove the very tools available to conservation to keep these animals on the land – the tools of economics, markets and sustainable use, to create value for these animals within a well-regulated, sustainably management wildlife landscape. I believe that the problem is essentially one of ignorance. People think that they are doing what is best for conservation, but they simply do not understand the economic drivers for wildlife and biodiversity conservation in biodiversity-rich and rainfall-poor developing countries. And many African countries are sadly falling into the same trap. Kenya, for example, with its Eurocentric protectionist conservation approaches, has less wildlife today than at any time in its history. We need to share the message. And the message is, I believe, most powerfully explained using the simple graphic in Figure 3 below. 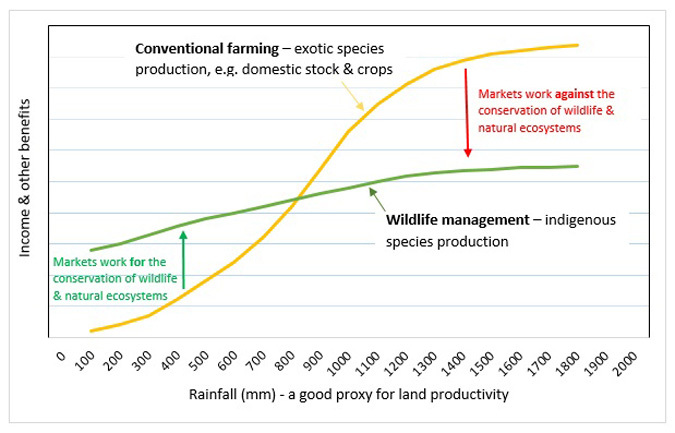 A second insight from the graphic above is that the greater the value earned from wildlife, not only is the gap widened on the left side of the graph over conventional farming, but the cross-over point is pushed further to the right. This means that higher rainfall areas become competitive under wildlife management, opening more of Africa to this form of land use.The yellow line represents the return to land use under conventional farming, e.g. domestic stock and crops, across a rainfall gradient – rainfall being a proxy for land productivity. The green line shows the returns to land under wildlife. On the left side of the graph, in areas of rainfall below about 800 mm per year, returns from “indigenous production systems” – i.e. wildlife, are greater than the returns from “exotic production systems” – i.e. farming. However, this only applies if the rights to use wildlife are devolved to land owners and custodians. Markets then create a win-win situation for optimal returns from land and for wildlife conservation in these more arid areas. If utilisation rights are not devolved, then wildlife has little value to the land owner and custodian, and people will use the land for other activities. On the right side of the graph, above about 800 mm, the lines cross over and here conventional farming outperforms wildlife management. If land owners and custodians are given rights over the wildlife and other indigenous species on their land, they will get rid of these species and transform the land for farming in response to market forces. Most of the western, industrialised world falls into the right side of the graph. Conservation agencies and organisations from countries on the right side of the graph, and areas where rights over wildlife are not devolved to land owners, are so conditioned to resist and fight against market forces having negative conservation impacts in their countries, that they automatically carry the fight across to those countries falling into the left side of the graph and which have devolved wildlife rights, not realising that the lines have switched over and that markets here are working for conservation. This is the important message that we must get across to policy makers, conservation organisations and the broader public in the urbanised and industrialised countries. And in some other parts of Africa. People need to understand the conservation drivers, incentives and markets, as well as the role of sustainable use within good conservation policy and practice. Well-intentioned but poorly informed efforts to influence conservation in this region seriously undermine good conservation policies and practices. Namibia’s record of environmental accomplishment speaks for itself. Through the implementation of appropriate policies, it has created incentives for wildlife conservation, unmatched anywhere in the world. But wildlife must have value otherwise land owners and custodians will move to other forms of land use. And it must have the greatest possible value to be as secure a land use as possible, over the largest possible landscape. And that is why I strongly support well-managed and ethical hunting. It is good, and in some cases essential, for the conservation of wildlife, of habitats and of biological diversity. And that is why hunting and tourism must work together, in mutually supportive ways, to optimise returns from wildlife for the land. Well managed and ethical hunting should in fact be called “conservation hunting”. 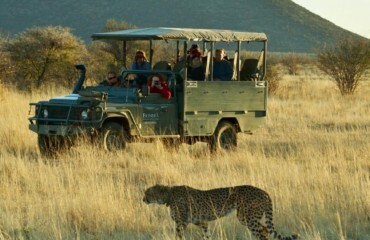 And conservation hunting is essentially an integral part of tourism. Barnes JI 2001. Economic returns and allocation of resources in the wildlife sector of Botswana. South African Journal of Wildlife Research 31(3/4): 141-153. Di Minin E, Leader-Williams N & Bradshaw CJA 2016. Banning trophy hunting will exacerbate biodiversity loss. Trends in Ecology & Evolution 31(2): 99-102. IUCN 2016. Informing decisions on trophy hunting. IUCN Briefing Paper April 2016, 19 pp. Lindsey P 2011. Analysis of game meat production and wildlife-based land uses on freehold land in Namibia: Links with food security. A Traffic East/Southern Africa Report. 81 pp. Lindsey PA, Havemann CP, Lines RM, Price AE, Retief TA, Rhebergen T, van der Waal C. & Romanach S 2013. Benefits of wildlife-based land uses on private lands in Namibia and limitations affecting their development. Fauna & Flora International, Oryx 47(1): 41–53. Munthali SM 2007. Transfrontier conservation areas: Integrating biodiversity and poverty alleviation in Southern Africa. Natural Resources Forum 31: 51-60. Norton-Griffiths M 2010. The growing involvement of foreign NGOs in setting policy agendas and political decision-making in Africa. First published by Blackwell Publishing, Oxford Institute of Economic Affairs 2010. 5pp. Ogutu JO, Piepho H-P, Said MY, Ojwang GO, Njino LW, Kifugo SC, et al. 2016. Extreme Wildlife Declines and Concurrent Increase in Livestock Numbers in Kenya: What Are the Causes? PLoS ONE 11(9): e0163249. doi:10.1371/journal.pone.0163249. Stemmet E 2017. The ban on hunting in Botswana’s concession areas. African Outfitter Jan/Feb 2017: 38-42. Wilson GR, Hayward MW & Wilson C (in press). Market-based incentives and private ownership of wildlife to remedy shortfalls in government funding for conservation. doi: 10.1111/conl.12313.